You may be like so many other people and be confused about what your credit score means and how it impacts you. Another common misconception is that you shouldn’t use credit unless you can’t afford something. This may be putting you at a disadvantage when you need to make a larger purchase, such as a car or a home. 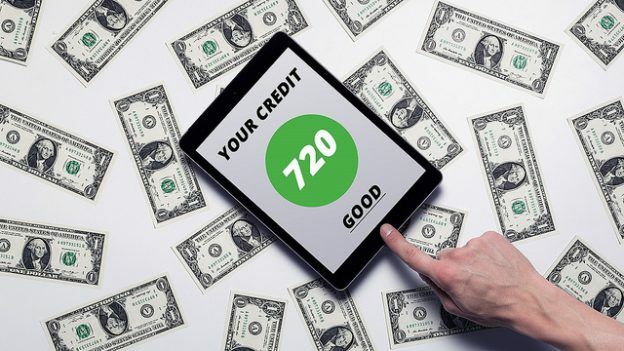 Basically, your credit score is the amount of risk that a lender is taking on you for a loan. A higher credit score means that there is less risk. The top of the scale is an 850 credit score, and it goes down from there. Having a perfect credit score isn’t something that you need to obtain in order to qualify for loans. The end goal is to remember that you don’t want to neglect your credit score. There are lots of things that can impact your credit score. You have to remember to pay all of your bills on time. Having a large amount of revolving debt could also lower your credit score. This doesn’t mean that you to want avoid using a credit card. In fact, using your credit card in a limited fashion can actually benefit your credit score. Just as with your other bills, you need to make sure that you can pay off your credit card every month. Carrying a balance will impact your score. Having a diverse form of credit is good for your score. This means that you should look at your debt load in a positive way. Student loans, a limited number of credit cards, a car loan, and a mortgage that are paid on time demonstrate that you know how to manage your finances. Don’t take on debt in order to achieve a perfect credit score, however. This will harm you in the long run. Only take on as much debt as you can afford to pay. Another important thing to consider is that you need to make sure that your credit report is accurate. Check it at least once a year. This will also let you keep tabs on the direction that your credit score is heading. Having a long term history of credit will work in your favor. You also need to make sure that it’s up to date. It doesn’t do you any good to have your credit report be out of date. Dispute any discrepancies that you notice right away. This can have negative consequences for when you want to apply for a loan. The amount of credit that you have needs to be a balancing act. Applying for new forms of credit will impact your score. Every time a lender checks your credit, it lowers your overall score. You may want to consider only having one credit card long-term. This will provide you with the most amount of benefit as long as you use it in a reasonable capacity. Don’t charge more than you can afford to pay off each month. Revolving debt will impact your credit score. Keep your credit active so that it will be available when and if you need it. Check your report at least annually so that you’re surprised when you apply for a loan. Pay all of your bills on time to keep your credit score as high as possible. Watch your spending so that you don’t get in over your head. Doing all of these things will ensure that your credit will be in good shape. You never know when you might want to make a large purchase. Don’t ignore your credit score. It can cause you to miss out.